Tank coatings are used to line the internal and external surfaces of tanks storing varying materials - anything from drinking water to aviation fuel, and high acidic to alkaline chemical concentrations. Our online range offers the very best in storage vessel coating and tank lining solutions, providing the ultimate protection for tanks made from concrete, metal, plastics and more. We offer a wide range of products from many world leading manufacturers including Jotun, International, Sherwin-Williams and Sika. Due to the specialist and bespoke nature of many of these products, we can offer a coating for almost any project and environment, covering application methods by brush, roller and spray, to a range of colours and film thicknesses to meet specification requirements. Most importantly our coatings and tank paints have been through rigorous testing to ensure they meet the most stringent requirements, so if your project requires certification to a particular standard whether it be British, American, German or otherwise, we’ll have a system to comply. 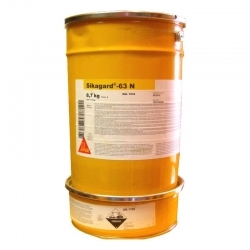 Sikagard 63 N is a two part epoxy protective coating with high chemical resistance. Sikagard 63N is an abrasion resistant, universal coating material for use on concrete, cementitious mortars and rendering, epoxy mortars (including Sika EpoCem), steel and aluminium designed for normal to highly aggressive chemical environments. Sika Permacor 3326 EG H is a low solvent containing 2-pack epoxy coating for steel and concrete. The coating has high physical strength, with good abrasion and impact resistance. Sika Permacor 3326 EG H is a very high solid epoxy coating for steel and concrete with crack bridging capability up to 3mm (laminate system). International Interline 955 is a two component, heavy duty vinyl ester coating reinforced with glass flake to increase chemical and abrasion resistance. International Interline 955 is a chemically resistant, vinyl ester coating which can be applied using standard airless spray equipment at material temperatures up to 35°C (95°F). 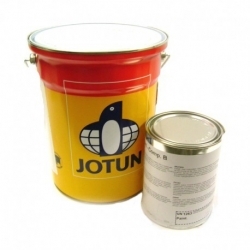 Jotun Tankguard 412 is a two component solvent free polyamine cured epoxy coating that is a general purpose tank lining with good chemical resistance. It can be used as a primer, mid coat or finish coat in atmospheric and immersed environments. Suitable for properly prepared carbon steel, galvanised steel, stainless steel and concrete substrates. Jotun Tankguard SF is a two component solvent free amine cured novolac epoxy coating that is a specially designed tank lining with very good chemical resistance. It can be used as a primer, mid coat or finish coat in atmospheric and immersed environments. Suitable for properly prepared carbon steel, galvanised steel, stainless steel and concrete substrates. Jotun Tankguard DW is a two component solvent free amine cured epoxy coating that is specially designed for drinking water tanks. It can be used as a primer and finish coat in atmospheric and immersed environments. Suitable for properly prepared carbon steel, stainless steel and concrete substrates. Jotun Tankguard Zinc is a two component moisture cured inorganic zinc ethyl silicate coating that is a specially designed tank coating and lining with excellent cargo resistance. To be used as a single coat system only, in atmospheric and immersed environments. Suitable for properly prepared carbon steel substrates. Key products from International Paints’ protective coatings range, Interline, are available to buy today at Rawlins Paints, to deliver improved chemical and abrasion resistance to large chemical storage structures. From Interline 955’s two component, heavy duty vinyl ester coating, which can be applied with standard airless spray equipment, to Interline 850, a high-build epoxy phenolic tank and pipe lining coating used to protect the internals of steel storage tanks and pipes, these specialist coatings can be found on many of the country’s leading processing plants. International Interline 925 provides chemical resistance to a range of corrosive products, including crude oil, white oils and potable water. It is suitable for application over concrete for lining and secondary containment purposes. International Interline 984 also delivers exceptional anti-corrosive protection to crude and refined petrochemicals, as well as biofuels. It is the ideal choice for use in storage tanks in downstream refineries and terminals, along with protecting ferrous and non-ferrous substrates. 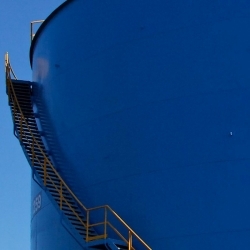 Specialist coatings from Jotun’s Tankguard range can be used for transportation and long-time storage of a wide range of corrosive chemicals, internal linings for offshore, onshore and buried tanks and pipes, fire service lines and drilling mud tanks. 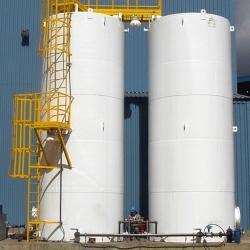 Tankguard Plus is suited for storage and processing of heavy chemicals at high temperatures. These coatings, product dependent, can be used as a primer, mid-coat or finish coat in atmospheric and immersed environments, delivering exceptional protection to a range of metals and related surfaces. A selection, including Tankguard 412, can be used on crude oil and marine tanks. Jotun Tankguard Plus is a two component novolac epoxy coating which has been specially designed to offer chemical resistance as a tank lining. For more information about the extensive range of Tankguard coatings from Jotun available here, please contact a member of our support team. If you need any advice or guidance with your tank coating project, call our Technical Team to discuss what product(s) will be best for you. Site visits can be carried out for larger projects so a full specification can be produced in writing, which will be tailored to meet the projects requirements. Data sheets and advice are always freely available to help you with your project.